It’s less than two weeks until Crystal Kingdom comes out, and today I’m posting the final chapter in from the excerpt. The first two chapters of the book – “Friends & Enemeies” and “Tracking” – are already available at Wattpad. 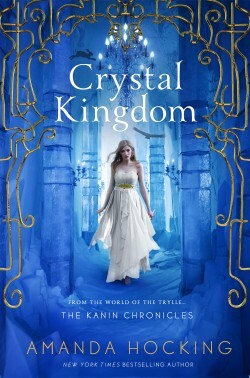 Remember: If you have not read Frostfire or Ice Kissed yet, there will be plenty of spoilers in the first few chapters of Crystal Kingdom, so read it at your own risk. To start reading chapter two “Ember” now, please visit: here.